Bicyclists are among of the most vulnerable groups of people on our roadways. Like pedestrians, they have little protection against passenger vehicles and often suffer very serious injuries during minor car accidents. Unlike pedestrians, cyclists spend a majority of their time in the road, making them even more vulnerable to reckless drivers. According to the National Highway Traffic Safety Administration, approximately 49,000 of cyclists are hurt during car accidents every year; of those, more than 700 die. This year, Milton Everett Olin Jr. was one of those that lost their lives in bike accidents. Olin was a prominent entertainment lawyer who was best known as an executive with Napster. The 65-year-old was riding in the bike lane when the accident occurred, and he died at the scene. The public was outraged to hear a police officer was the one who struck and killed Olin. New York Daily News reports the officer was texting and lost control of his patrol car. In fact, his phone records show he sent a total of six messages just before the crash. He swerved into the bike lane and rear-ended Olin. Witnesses told investigators the officer didn’t even brake. The local community’s concern quickly turned to anger recently when a county attorney decided not to file charges against the officer. He said he wouldn’t prosecute because the text messages were work related. The biking community is protesting the decision by riding along the highway. Meanwhile, Olin’s family decided to seek justice on their own and filed a wrongful-death lawsuit against the officer. At Eells & Tronvold Law Offices, PLC in Cedar Rapids, we believe there is no excuse for distracted driving, and we’re proud to help the victims of reckless drivers file personal-injury lawsuits. You can rely on our experience and knowledge throughout your case, and we’ll fight to secure the maximum compensation possible. To arrange a consultation with a personal-injury lawyer, please call 319-393-1020. In June, a teen driver lost control of his vehicle after striking a dip in the road and colliding with a power pole. Both the driver, Hayden Soyk, and his girlfriend, Maddi Higgins, died in the wreck. The Oregonian reports Soyk’s family plans to sue the city because they believe poor road design led to the crash. They cite the fact that at least 45 accidents have occurred on that road in the past four years, many of which were single-vehicle crashes. If you are planning a wrongful-death lawsuit, you can rely on us to give you excellent legal advice and to aggressively negotiate with insurance companies. Whether you’re suing a city or a reckless driver, we are here to help. To arrange a consultation with a personal-injury lawyer, please call 319-393-1020. Statistics on elder abuse are difficult to come by for many reasons, one of the most important being that many cases aren’t reported to police. This is because the victims are cut off from the outside world and unable to defend themselves and report their abusers. In fact, a study from Cornell University estimates that for every one case that is reported, 24 go unnoticed and unpunished. Everyone seems to agree on one point: The problem is greater than is apparent. The National Center on Elder Abuse surveyed thousands of residents and found that 44 percent had experienced abuse and 95 percent had witnessed neglect. For the families of those who have been mistreated, it’s easy to feel helpless in the face of so much injustice. Even those nursing homes that are caught usually only face low fines. However, the loved ones of abuse victims have the ability to file a personal-injury lawsuit to seek justice and compensation. At Eells & Tronvold Law Offices, PLC, we are committed to assisting families as they look for closure on these issues. We are an experienced law firm that specializes in personal-injury cases, and you can rely on our experience throughout the process of filing your lawsuit. To arrange a consultation with a personal-injury lawyer in Cedar Rapids, call us at 319-393-1020. Neglect is one of the most dangerous forms of nursing-home abuse because it so often goes unnoticed. Dehydration, malnutrition and a lack of supervision can be deadly to the elderly, but it’s easy for staff to explain the problems away as just part of the aging process. Families often believe this explanation, choosing to believe that declining health and fall accidents happen to all aging adults. WV Gazette reports that one man refused to believe these types of explanations. He alleges that the neglect of his wife accelerated the decline of her mental and physical health, directly leading to her death. He claims that the nursing home did not retain enough staff or supplies to properly care for residents, which caused her to fall and suffer injuries several times. Furthermore, he says the facility neglected to inform him of her declining health. Sometimes, the problems in nursing homes are more than just neglect. When outright abuse occurs, it’s much easier to spot the signs. KOCO News reports that family members noticed bruises on their loved one’s arms and mouth. They also noticed a change in behavior. Specifically, she was scared most of the time. After setting up a camera, they found that a caregiver was physically beating and verbally abusing the elderly woman. The caregiver will now face four years behind bars. If you are interested in speaking to a personal-injury lawyer about filing a lawsuit against a caregiver or a nursing home, let us help. To arrange a consultation, just call 319-393-1020. Civil actions cover a wide range of situations and are very complex. They can involve individuals, businesses and nonprofit companies. An individual can even file a civil case against the state in many circumstances. 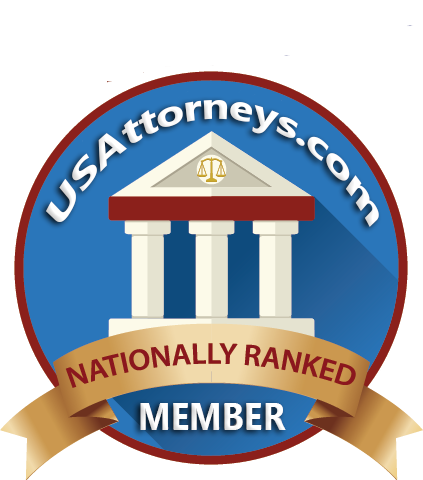 Generally, claimants rely on attorneys who specialize in the field of law concerning their claim. For instance, car-accident victims hire personal-injury lawyers who are experts on claims based on negligence. At Eells and Tronvold Law Offices, PLC, we offer our clients the benefit of our 75 combined years handling civil cases. We specialize in several areas including personal injury, wrongful death and legal malpractice. Regardless of the reason behind your lawsuit, you can count on us to fight to protect your interests both during negotiations and in court. If you would like to speak with a Cedar Rapids personal-injury attorney, call us at 319-393-1020. The number of car accidents in the United States is astounding, and every day, hundreds of people are injured in crashes. Many of these incidents are caused by negligent driving behaviors such as texting, drinking and speeding. When one driver chooses to operate a vehicle in an unsafe manner and hurts another motorist, the victim has the right to file a claim. For instance, KUSI News reports that police recently arrested a driver who struck several bicyclists. Authorities say that Theresa Owens was driving in the wrong lane when she collided with a group of at least 20 cyclists. Eight of the bikers were injured in the accidents, and police determined that Owens was drunk at the time. If a drunk driver or other negligent party causes the death of another person, that victim’s family has the right to file a wrongful-death lawsuit to find justice and compensation. KWWL News reports that one family is exercising that right after their loved one died during football practice. Ted Agu, a college player, died after experiencing extreme fatigue. The family was outraged when they discovered that his trainer had another player die earlier in his career under similar circumstances. Most people are aware of medical malpractice cases that arise after doctors fail to properly treat their patients and cause injuries in the process. This same idea applies to attorneys who negligently harm their clients’ cases by failing to properly prepare for a case or by choosing a very poor strategy. The Des Moines Register reports that an Iowa couple is suing their lawyer after he failed to obtain a signature from the birth mother of the couple’s adopted son. This caused the couple to lose the child, who died in the birth mother’s care. If you are planning to file a civil lawsuit, it can be very helpful to get expert advice by retaining a personal-injury attorney. If you would like to arrange a free initial consultation with an attorney in Cedar Rapids, call us at 319-393-1020. The DUI fatality rate in the United States has followed a fairly steady downward trend during the past 30 years. In fact, according to the Foundation for Advancing Alcohol Responsibility, the number of people killed in 2012 was 64 percent less than the number killed in 1982. Much of this success comes from increased efforts by law enforcement and changes in state laws. Even so, drinking and driving continues to be a serious problem in our country and still exacts a heavy toll on our society every year. In 2012, more than 10,000 people died in DUI accidents. Notably absent from these statistics is the number of people injured in these crashes. According to the National Highway Traffic Safety Administration, someone is injured in a drunk-driving accident every 90 seconds in the Unites States. Three of those injuries occurred earlier this week. CBS News reports that Andres Esteban Toro was intoxicated and was driving at 120 miles per hour before causing an accident. Malcolm Lloyd, an alcohol entrepreneur, was sitting in the passenger seat of Toro’s Lamborghini. Police say that Toro lost control of the $400,000 luxury car, slamming into the back of an SUV. Toro was driving so fast that his sports car spun for more than 100 yards after striking the SUV. Photos from the scene show the black Lamborghini totaled along the barrier of the road. Both cars received so much damage that it took authorities 10 hours to clean the street. Lloyd died instantly, and photos show that his side of the vehicle received the worst of the damage. Paramedics rushed Toro and the driver of the SUV, Raul Alfonzo, to the hospital where doctors listed both patients in a stable yet critical condition. The force of the accident was so great that it knocked the wheels off of Alfonzo’s SUV. At the time of the accident, Alfonzo was on his way home after working a night shift as a bouncer at a nearby bar. Toro and Lloyd were driving back from a party. If you’ve suffered an injury in an accident with a reckless or negligent driver, don’t wait to call an accident lawyer from our offices. 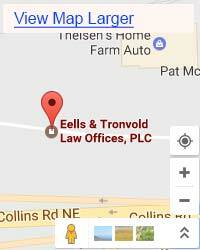 At Eells & Tronvold Law Offices, PLC, we specialize in representing car accident victims and helping them find justice through personal-injury lawsuits. To arrange a consultation with a Cedar Rapids accident lawyer from our firm, call us today at 319-393-1020. Police anticipate filing DUI manslaughter charges against Toro when they receive the results of his blood test. He was in no condition to submit to a breathalyzer or take a field sobriety test, but officers report that he smelled of alcohol. He has faced five driving-related charges in the past three years. If you’re ready to fight for the compensation that you need to recover from injuries you received in an accident with a negligent driver in Cedar Rapids, call us. At Eells & Tronvold Law Offices, PLC, we have more than 75 years of combined experience helping Cedar Rapids residents. To speak with an accident lawyer about your injuries, call us today at 319-393-1020.